Definitely post worth as this is my favorite portable speaker. A regular go-to in my apartment but also for travel. That said, I am looking forward to trying out the new "Big Jambox" weighing at 2.7lbs. It touts the Bluetooth connectivity of the now “Baby Jambox” and its Li-ion battery provides up to 15 hours of continuous playback. And finally! 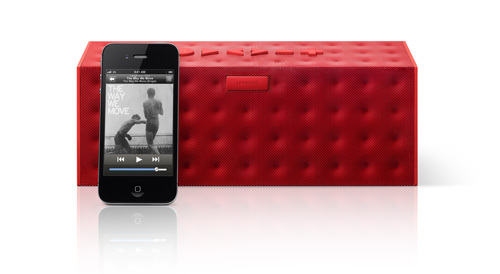 Media control buttons allow for controlling music on your device and now also on Jambox unit. It will retail on May 15th at $299 at Best Buy, Jawbone.com, Sprint and AT&T. It will be available in red, white and gray. For a small apartment how will this stack up against the Sonos Play3? Will keep you posted as I am hands on this week. 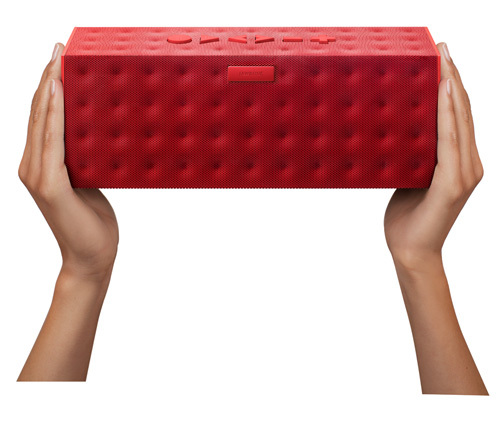 *“Baby Jambox” weighs 12oz and has 10 hours continuous play.